You should get a dental exam at least once a year. During dental exams, your dentist will look at your overall dental health. 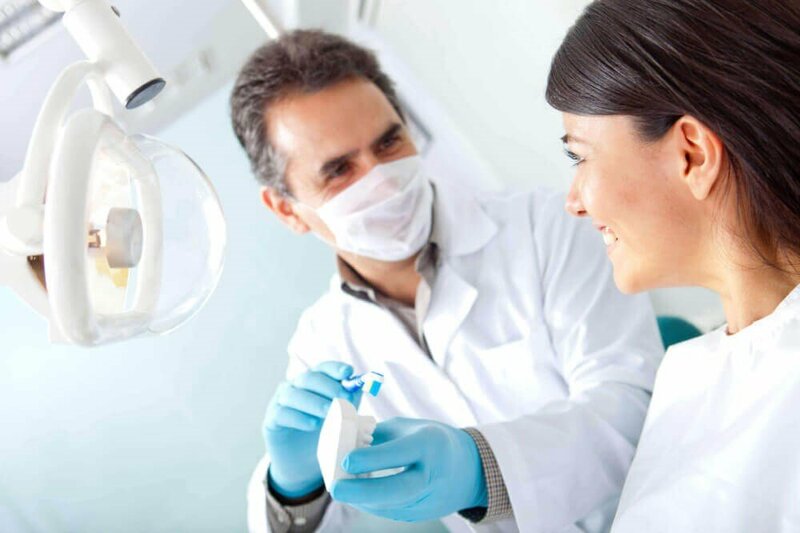 Your dentist can identify and treat problems in their early stages (like cavities and gum disease), which can save you time, money, and unnecessary stress in the long-run. Do not wait until you start feeling pain to schedule an appointment with a board-certified dentist in High Point, NC. Mouthwash can help you in a few different ways. It can reduce the amount of acid in your mouth, clean the hard-to-reach areas that you can miss with your toothbrush, and re-mineralize your teeth. There are many different types of mouthwash available for your specific needs and concerns. You might want a mouthwash that's alcohol-free, one that decreases tooth sensitivity, one that whitens your teeth, or one that helps with dry mouth. Ask your dental team to recommend products that can boost your oral health. Once you've chosen a mouthwash, read and follow the directions on the package carefully. It tastes delicious, but sugar turns into an acidic bacteria, which becomes cavities in your teeth. Eating foods and drinks with a lot of sugar (check the labels on your food because sugar is in more food and drinks than you think) can affect your oral health. Avoiding sugary foods can help limit the number of cavities you get. We are not saying that you have to avoid these types of foods and drinks altogether but limiting them can improve your current and future dental health. When you do have a sugary treat, try to brush your teeth or use mouthwash as soon as possible to remove the bacteria. Many people believe that just because they brush their teeth, they have good oral hygiene, but that is not the case. Even though you practice proper brushing technique, you can still get plaque and tartar buildup stuck between your teeth and also along your gum line. Flossing can break up this debris, which helps fight off gingivitis and cavities, leaving you with healthy teeth and gums. You should floss your teeth at least once a day, but we recommend twice a day. To make sure you are flossing correctly, ask] your hygienist for tips during your professional cleaning. To avoid cavities and other problems, you should be brushing your teeth at least twice a day. Ideally, you should brush them 30 minutes after you eat or drink, but twice a day is the minimum for good oral health. And it's not just how often you brush, but also how you brush. You should hold your toothbrush at a 45-degree angle and move it in short, circular motions. Be careful not to brush too hard or you can damage your gums and wear down your enamel. If you want to make brushing your teeth easier, consider investing in an electric toothbrush. Most come with a built-in timer so you know you're brushing for two minutes. If you want to make sure you are brushing your teeth correctly, ask your dental hygienist after your cleaning. They can demonstrate proper technique and help make sure you're brushing effectively at home. Also, be sure you are replacing your toothbrush or electric toothbrush head every three months or sooner if it's visible worn down. Along with your annual dental exam, you should be getting your teeth professionally cleaned at your dentist every six months. Even if you're brushing and flossing at home, it's difficult to get every nook and cranny in your mouth. A professional cleaning removes plaque and tartar buildup, which can turn into cavities. A professional cleaning also includes polishing your enamel to remove stains so your smile is brighter. Professional cleanings twice a year help to strengthen your teeth and improve the appearance of your smile. Fluoride is a naturally occurring element that is an excellent way to strengthen the enamel on your teeth. Depending on where you live, your water supply may have fluoride added to it (the U.S. Department of Health and Human Services or HHS recommends 0.7 mL of fluoride in every liter of drinking water). If your tap water doesn't have fluoride added or it doesn't have enough, ask your dentist in High Point, NC about getting professional fluoride treatments. While most dentists recommend fluoride rinses for children while their teeth are developing, adults can request them. You can also get prescription fluoride treatments to use at home and make sure you are brushing with fluoridated toothpaste. Buildup is not limited to your teeth and gums — it can also grow on your tongue. It can cause you to have bad breath or a white discoloration on the tongue. Another reason to brush your tongue is that bacteria can move from the tongue to your teeth and gums even after they have been cleaned, which can increase the chance of getting cavities. Gently brush your tongue after you brush your teeth and gums. It is an easy habit that can improve your dental hygiene. Now that you know different ways to improve your oral hygiene, contact our office in High Point, NC to schedule an exam and cleaning. Our experienced team at DentalWorks - High Point will help you develop your home oral care routine and make sure you are brushing and flossing correctly. We will explain other ways that you can improve your dental health. There is no better time to start a habit than now, so don't wait.